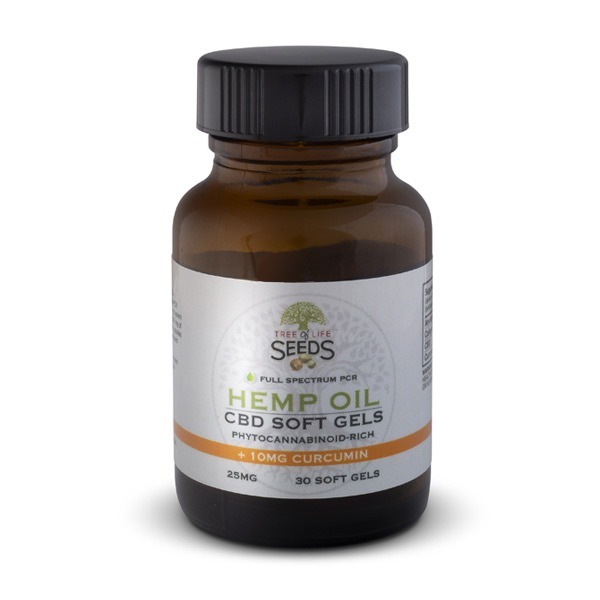 Tree of Life Seeds Hemp Oil CBD Soft Gels are a convenient and familiar way to deliver your daily dose of CBD in support of a healthy mind, body, and balance. Our Soft Gels are water-soluble and nanoemulsified for high bioavailability, making them more effective and easy for the body to absorb. Our phytocannabinoid-Rich (PCR) Hemp Oil CBD Soft Gels are pharmaceutical grade and contain a full spectrum CBD oil that includes a complete profile of phytocannabinoids and terpenes, excluding only THC. Made with all natural ingredients, Tree of Life Hemp Oil CBD Soft Gels are produced from responsibly grown, organic, non-GMO hemp, cultivated and extracted in the U.S. All of our hemp oil CBD products are third-party lab tested, independently verified, GMP compliant and are some of the purest and most consistent CBD products available. Tree of Life Hemp Oil CBD Soft Gels are available in 30 count bottles of either 10mg or 25mg of CBD per soft gel. My father is doing well with them he says they are helping him. He's bit more relaxed now hes 77 and he thinks a little clearer. My 82 year old father's colon cancer reocurred in March 2018, in a location that was unoperatable. Along with chemo/radiation he started taking the CBD oil for pain. While taking the treatments he did not have to take tylenol because of the CBD oil. His treatments ended in June, and he continued to take the CBD and is still on it daily. In August the tumor was gone. This stuff heals! We haven't been able to try the supplements yet because they melted a little in the mail. They are all stuck together so we put them in the fridge. It is a little better but we are afraid to force them a part because I am afraid they will burst open. I have heard good things about Tree of Life and my husband is looking forward to using them. We just need to get the capsules out of the bottle.